We all appreciate the need to be human-centric, the value of ecosystem views and partnerships, along with the requirement to be agile and iterative, to realize innovation and growth. Here are a few “Popcorn hero” examples — reframing the marketplace, repurposing assets, and reimagining experiences, that may inspire your Popcorn. In the late 1920s technology brought sound to moving pictures, opening-up interest to new movie theater guests. But during the Great Depression the whole movie business was suffering. Despite changing the ticket price, selling movies back-to-back, and other promotions, the theaters continued to make significant losses. Cue the introduction of popcorn or popped corn — the moorish and sometimes overly flavored snack — which was an affordable treat, particularly given the sugar rationing. Not only did it make watching movies more enjoyable, popcorn brought high margins with the average mark-up of 900–1200% according to Richard B. McKenzie (author of “Why popcorn costs so much at the movies”). While upmarket theaters initially frowned upon popcorn, independent theaters began selling popcorn in-house. 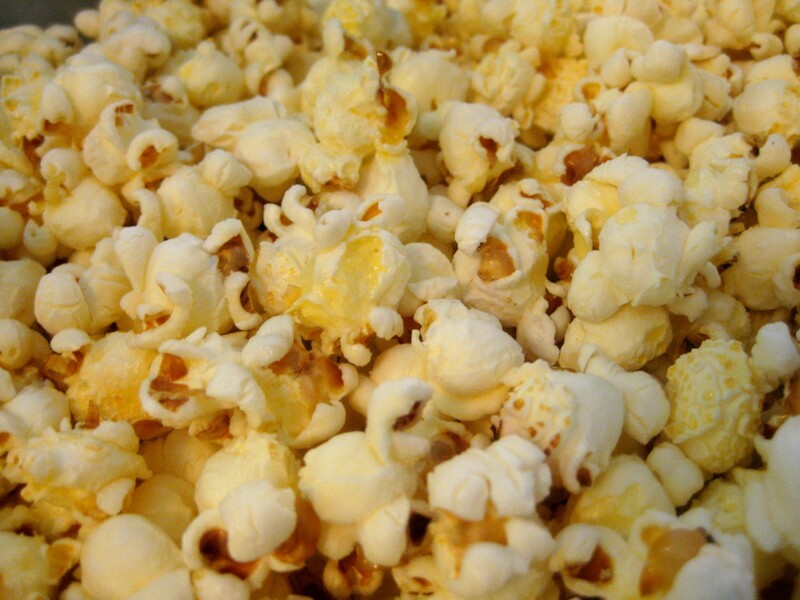 Those who sold popcorn were turning a profit, and subsequently the industry was pulled back from bankruptcy. Today concessions can account for more than 50% of movie theatre profits. This allows ticket prices to be kept affordable to compete with “newer” challenges, from the arrival of cable, cordless players, to movie distributor cost pressures, and the virtual reality type immersive experiences that are around the corner. As the somewhat unsung hero of the movie industry, the relationship between popcorn and movie experiences, wherever they may be, remains tight. OnStar was and perhaps is GM’s Popcorn as a compelling side business (or one of them). The 1990s saw the arrival of OnStar emergency roadside assistance software. A collaboration between GM, Electronic Data Systems and Hughes Electronics Corporation, connected vehicles with communication systems to create an invaluable service. Access to OnStar expanded in 2002 to non-GM vehicles through a licensing agreement, to brands such as Acura, Audi, Isuzu, Subaru and Volkswagen. Today the sophisticated service has grown to include Automatic Crash Response, Stolen Vehicle Tracking, Turn-by-Turn Navigation, and Roadside Assistance. “OnStar has fielded more than 1 billion requests from customers, who interact by phone, mobile app or embedded cellular service in their cars and trucks.” And “a customer contacts OnStar every two seconds”. Quite impressive for a side business. The value of smart data application to provide a tangible service — life saving even, working with ecosystem partners and in the spirit of coopetition, is clear. Talking of coopetition, taking a systems approach to using by-products are other unsung Popcorn sources. And in the same way, reducing waste and associated costs may also be viewed as a forms of Popcorn. Consider the Mosaic Company, one of the world’s leading producers and marketers of concentrated phosphate and potash, two primary crop nutrients. Their collaboration with an industrial partner in Saskatchewan, Florida, notably reduced heating and cooling energy costs for both partners. In the apparel world, the Environmental Protection Agency reports, in the US ‪95% of textiles are reusable, but 85% of textiles end up in landfill. I:CO are looking to “collect your shoes and clothing, logistically bring them together, analyse them, and determine their next best use”. Fabscrap, launching in Summer 2016, “provides convenient pickup and recycling of fabric scraps from businesses in New York”. Each play a unique role in the system, working with partners to collect, recycle, upcycle or redistribute what was previously seen as wasted assets. Hello Popcorn. Popcorn experiences are gaining momentum particularly in our use and notion of “space”. With the support of marketplace exchanges, space revenue streams are getting a makeover, from co-working, co-living, to bringing new layers of utility. Take WeWorks who is expanding into WeLive with their first pilot on Wall Street, New York. Or the likes of Euclid Manor, the shared home in Oakland, California where communal dinners are the norm. And Roam which is nurturing creative minds for short and medium term stays. They are all examples which iterate on communal living experiences of old. Solving for both today’s prohibitive rental prices, with the additive benefits of peer to peer exchanges. Space owners, developers and realtors are increasingly exploring urban farming, communal gardens and event usage, as additive revenue streams to their core assets. NYC is leading the way for urban agriculture in the US with urban farms growing on rooftops and stalled construction sites, connecting to schools, businesses and resident food waste drop-off facilities for compost, and partnering with local stores for food distribution. By changing the utility of your core assets, you change their value and relationship with the community, and given the tide of urbanization, more Popcorn surely is on it’s way. So as we explore net new innovations, let’s also continue to iterate and explore adjacent opportunities with the experiences, systems and models we use and offer today. In the 1920’s, who would have thought that some small kernels would be the hero of the movie industry. What’s your Popcorn?